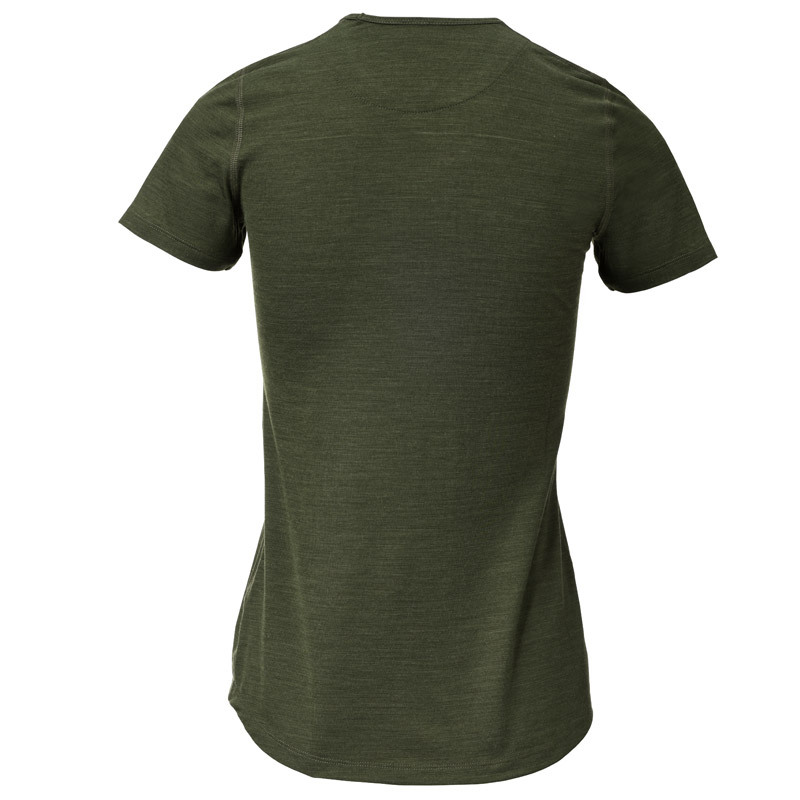 Our Merino T-Shirt first layer (1st layer of clothing) is made from ultrafine, non-irritant, silky soft 140g/qm2-merino wool of certified origin – after trying it on once, you will not want to take it off again. Chafe marks, from backpack straps during extreme hunts, are prevented by the especially fine wool and the 140g quality, which we deliberately chose to be a little heavier for hunting purposes, contrary to the common outdoor trends. The shirt is significantly longer in the back, so that cold air drafts stay out. 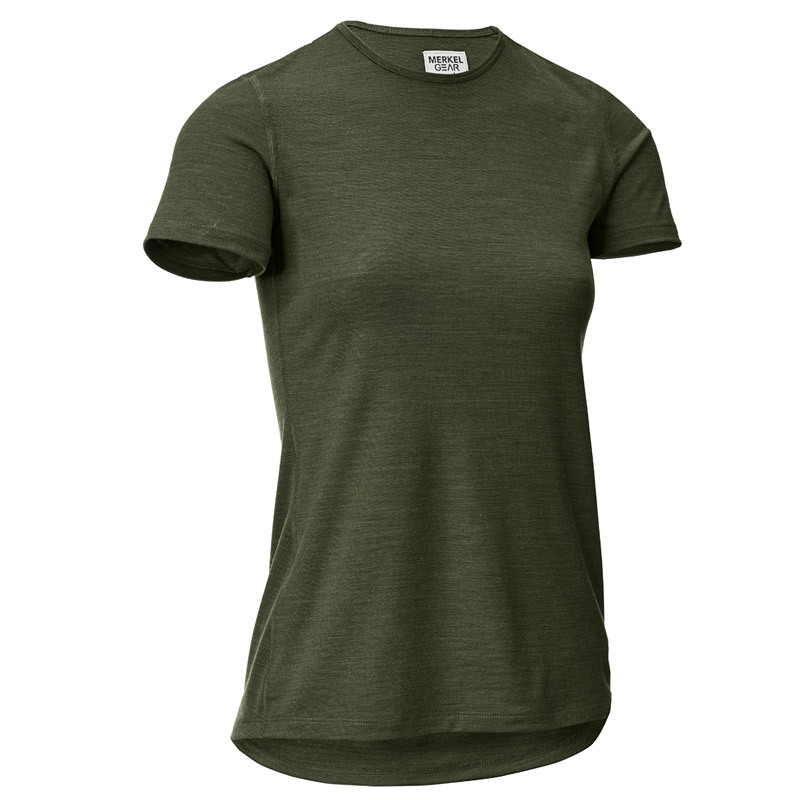 The combination of polyester and best merino wool creates the currently most effective T-Shirt on the market in terms of moisture management, heat storage and microclimate. Thanks to the high percentage of merino wool, micro bacteria in the sweat have no chance and – even after days of wearing this shirt – there are no unpleasant smells. 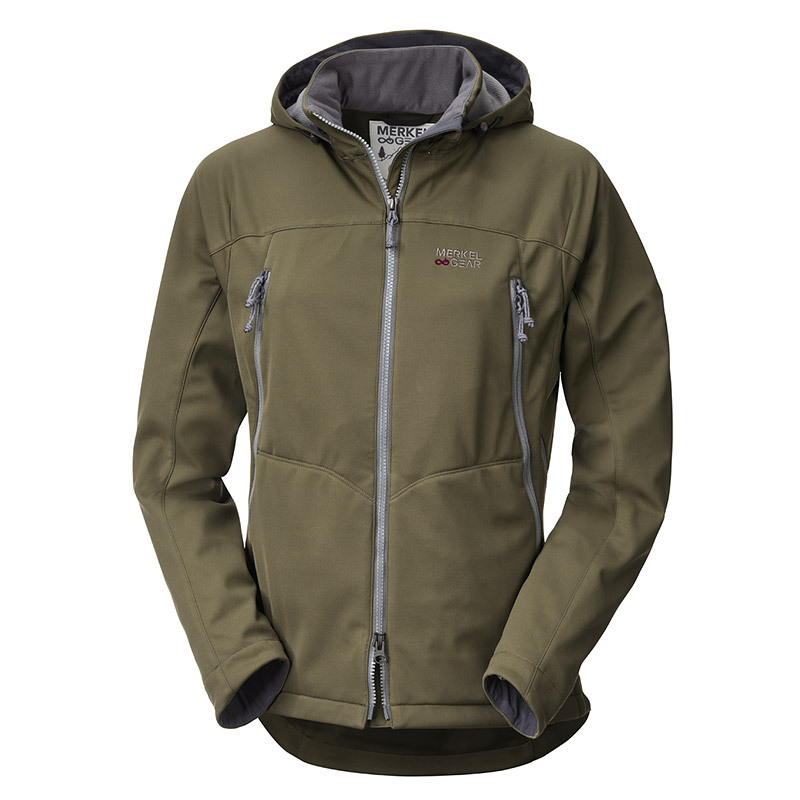 Supported by the moisture wicking polyester fiber and the consequential energy storing of your body warmth, the merino wool will even keep you warm when it is moist after sweat-inducing hours of hunting. This shirt is one of the most important pieces of clothing in the Merkel GEAR multi-layer-system. 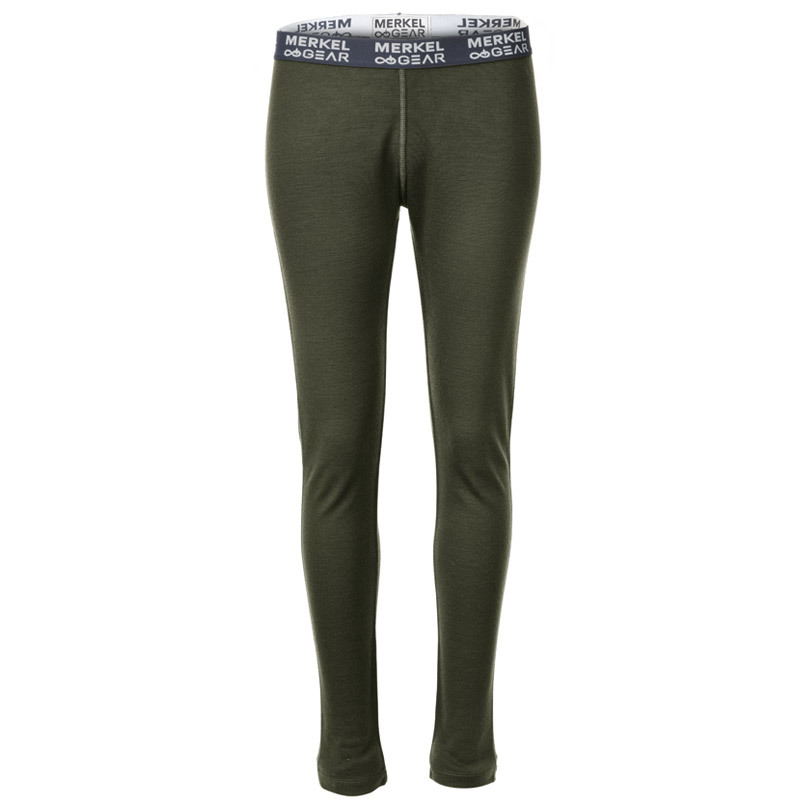 Our Merino Leggings are made from the same robust and yet ultra-soft merino wool as the Longsleeve.